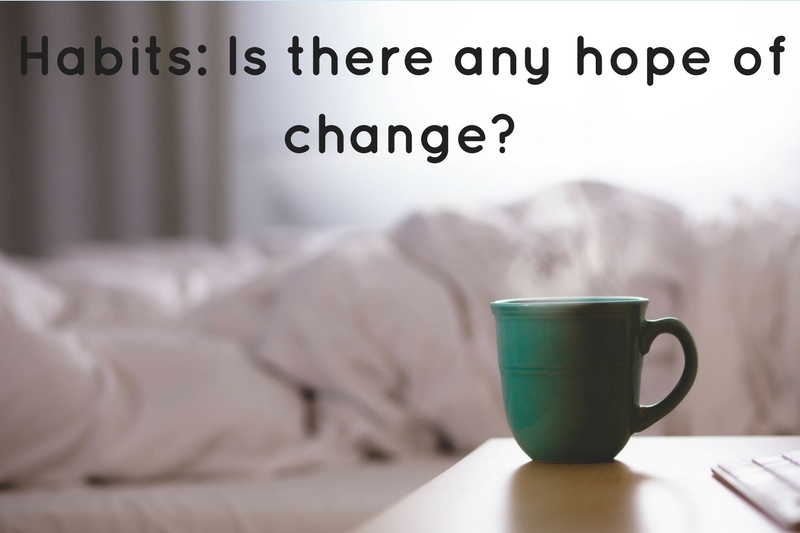 Habits: Is there any hope of change? Habits can be both good and bad. On the one hand, habits and routines can help us bring structure and certainty to our days. Its what allows us to know instinctively what comes next after brushing our teeth in the morning or to know, without though, the complex steps of operating a vehicle day in and day out. On the other hand, habits can cause us deep angst, especially when those routines no longer serve us but we can’t seem to stop them! Are there any really deeply ingrained habits that you’d like to try to supplant with newer, healthier habits? Of course there are…we all have them. What is one habit or routine you have that you’d like to change? The thing about habits is that the processes that keep us stuck in them, almost without thinking, are stored in one of the most base part of our brains – the basal ganglia. It’s in this mass, near the brain stem, that has us follow out the habits of brushing our teeth, making our morning coffee and any other routine or habit that seems to happen without any extra conscious effort on our part. Example: Have you ever been driving home from work and get half way home before you even realize that you’ve been driving almost on auto-pilot, turning left and right automatically where you need to, without even fully being noticing those decisions? That is the basal ganglia at work. And it’s a pretty brilliant and efficient part of our brain. Without it, we would have to re-learn the complex steps in our every day behaviors over and over again, using up precious bandwidth and thus make it nearly impossible to learn new skills and information. But, you can also see then how powerful habits can become and how difficult they are to change. The best way to start to change unwanted habits is to be aware of and tackle the cue first. Notice, for instance, what is happening around you or inside you just prior to grabbing the Oreos from the cabinet each night. Can you find a pattern there? It’s the cue that triggers a craving. When we can identify what the craving is, (hint, it doesn’t have to be food) we can then work to put in a different routine and potentially a new reward as well. This takes time, but with commitment, practice and perseverance we can start to learn newer, healthier habits that can become just as ingrained as the older one. 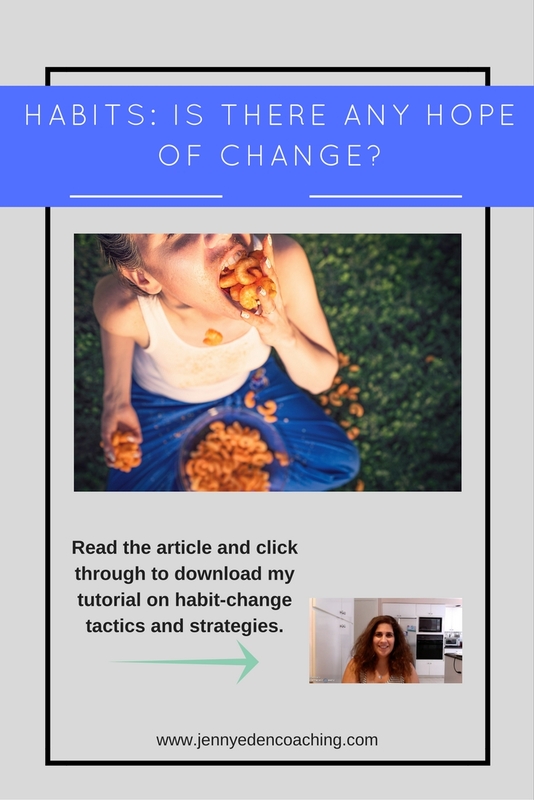 I’ll be talking a lot more about habits as it relates to emotional and stress eating on upcoming webinar. Sign up now and learn more! And, if you want to take a deeper dive into how habits get stored deep within our brains and how we can slowly begin to unearth them, dissect them and ultimately change them – enter your name and email below and I will send you my tutorial on habit changes. In the comments below….tell me: What is one habit that you see as healthy in your life and what is one that you’d like to change? I Enjoyed this Pinterest post. Thanks Melissa! I appreciate you reaching out and letting me know!